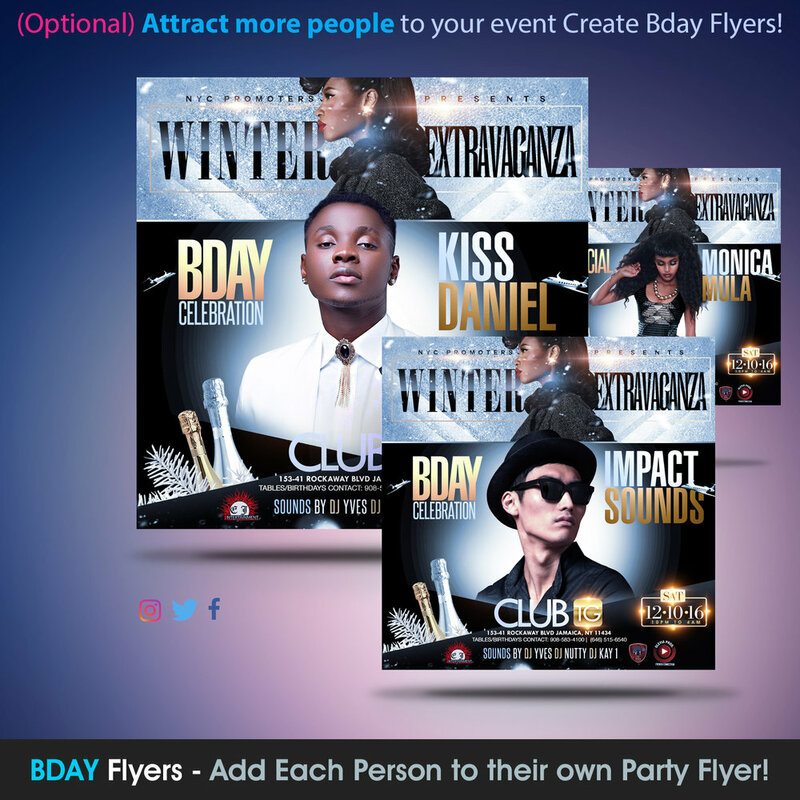 Promoters wish to add people by giving each person their own flyer. Look at picture for example. After payment is made we will email you for project details. please allow 24-48 business hours to complete your design. You will receive final design by email within that time frame.